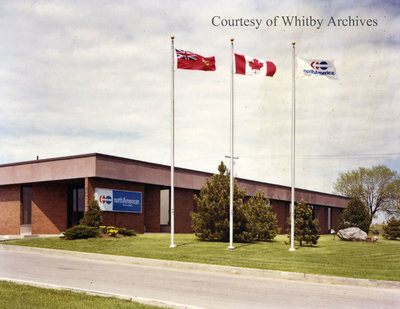 North American Van Lines Canada Ltd.
Colour photograph of the North American Van Lines Canada head office in Whitby. "North American Van Lines Canada Ltd.
Canadian head office - household goods moving company"
North American Van Lines Canada Ltd. was located at 1150 Champlain Ave.
North American Van Lines Canada Ltd., ca. 1983, photographer unknown. Whitby Archives photograph D2016_004_014.